I am normally not a purple person. I tend to be more of a blue hue kind of gal. 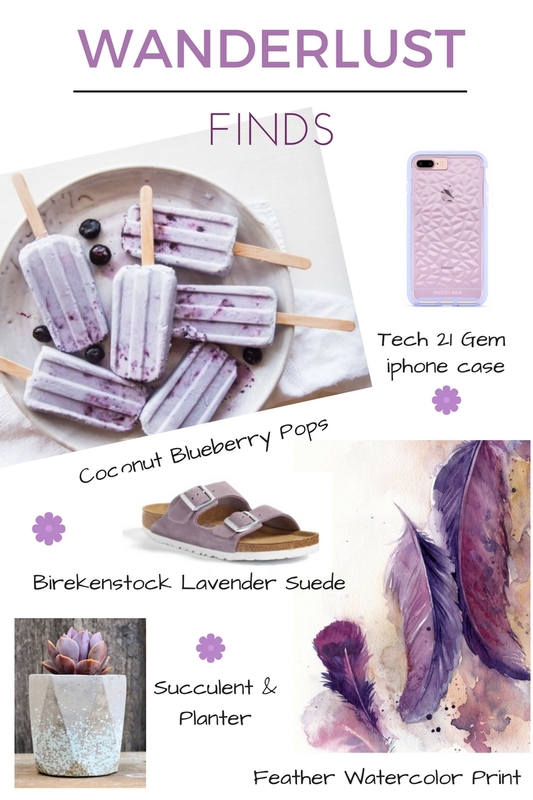 However, a few things have caught my eye this Spring and they all happened to be shades of purple. Maybe what started it all was buying orchids for my office a few weeks ago. 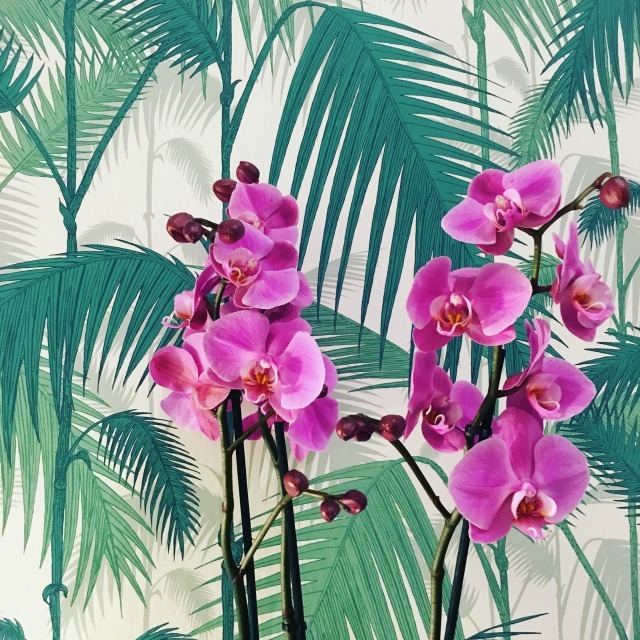 I’ve never bought orchids, but I saw them at this little flower shop that I always pass and had to have them. Then when the new Tech21 Evo Gem iphone case landed on my doorstep I realized this color was just begging for me to recognize it! Whether it’s lavender, lilac, orchid or wisteria, I am just loving this color right now. 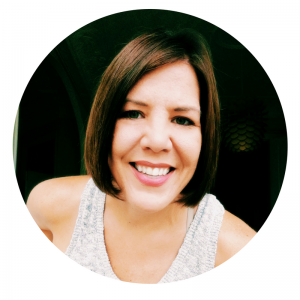 Aimee from Wallflower Kitchen is the author of Coconut Milk Ice Cream and she makes the most amazing vegan treats! 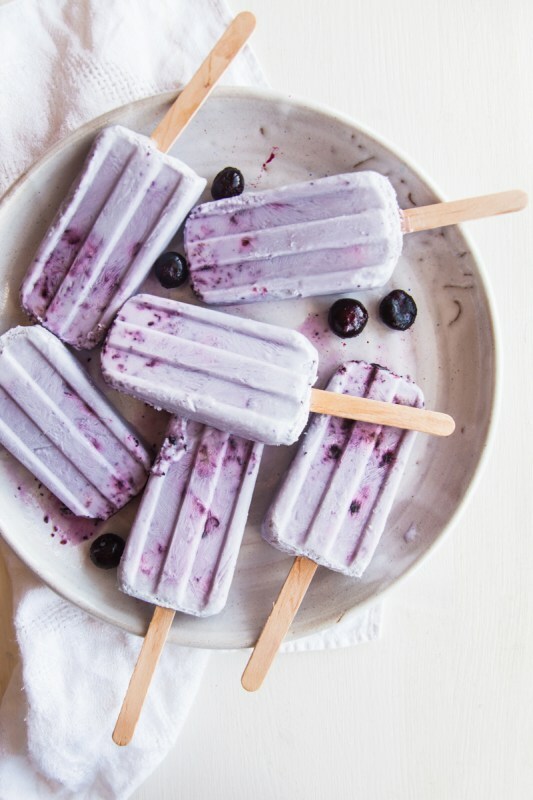 I stumbled upon her blueberry pops and literally wanted to lick my computer screen! These seem like he perfect Spring treat, I may actually attempt to make these this weekend! This little gem came in the mail and I was like “ohhhh, fancy!” I immediately took off my other Tech 21 battery charging case, which I LOVE because it keeps me powered up, but whoa. This pretty gem just made me take off my battery life line, which is a serious situation. 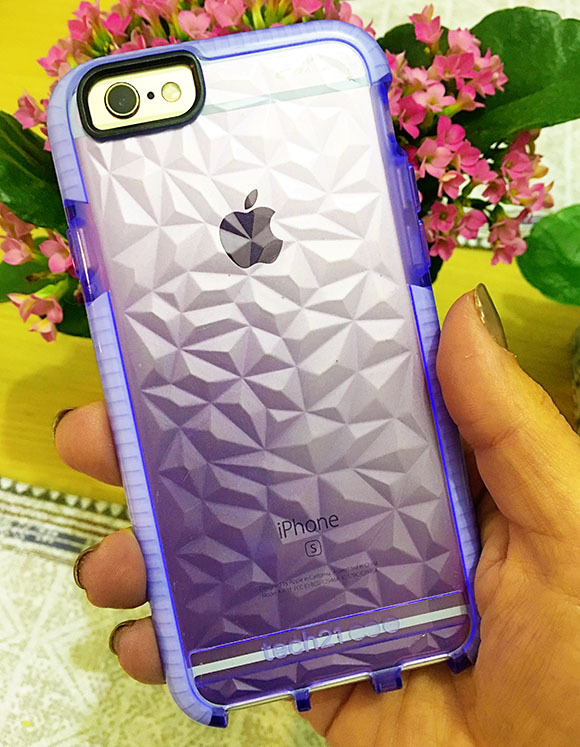 My son ran his fingers down the case and said “oh it’s like an optical illusion!” The fine people at Tch21 made the new Evo Gem for iphone 6/6s and the 7 and the 7 plus. 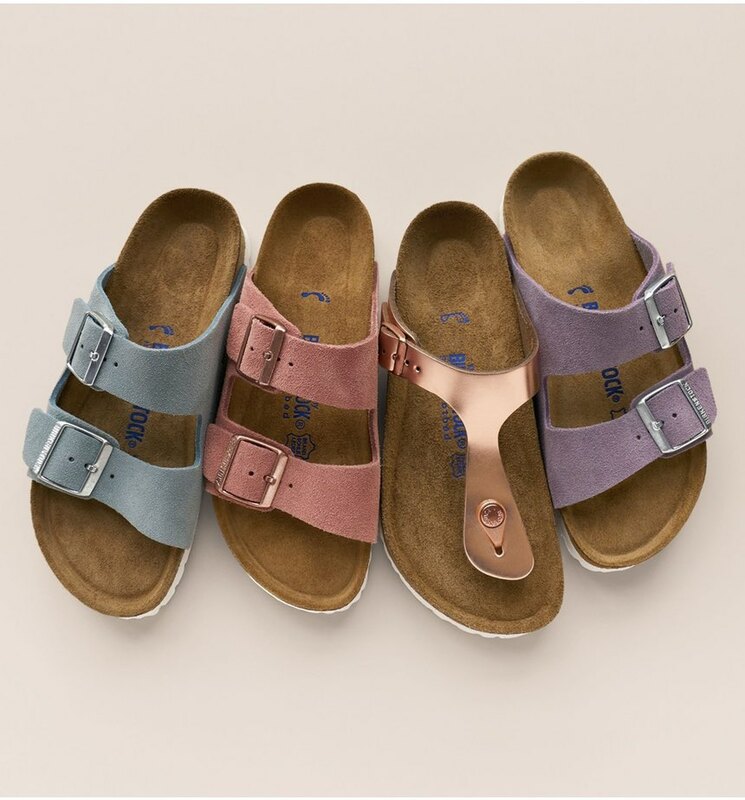 I am loving the suede birks for spring. Not only do these come in a palette of pastel colors but there is also a nice rose gold leather pair too! Here in Barcelona the weather is still a wee bit chilly but I’ve already been wearing sandals they are so much easier to slip on and much more comfortable for running around the city! Okay, so this is not technically purple but the succulent is! 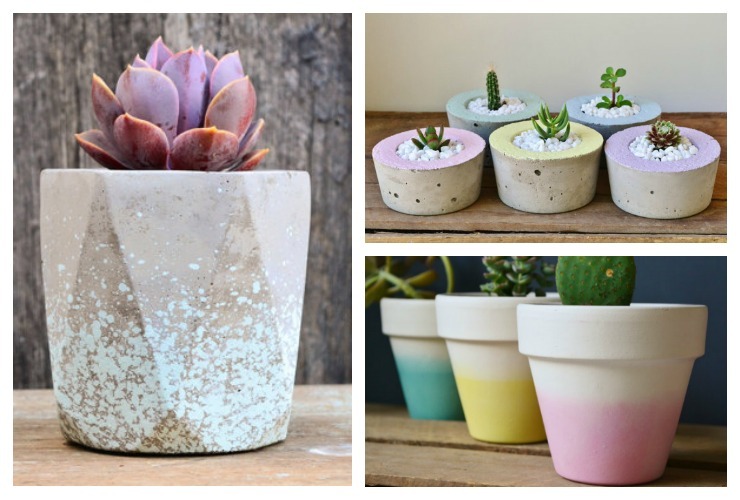 I found this little gem of a store on Etsy (of course) and when I found this speckled planter I also found these other pastel pots! THis seller has a lot of great pots and things for your garden. 5. The most Gorgeous Watercolor Feather Paintings! 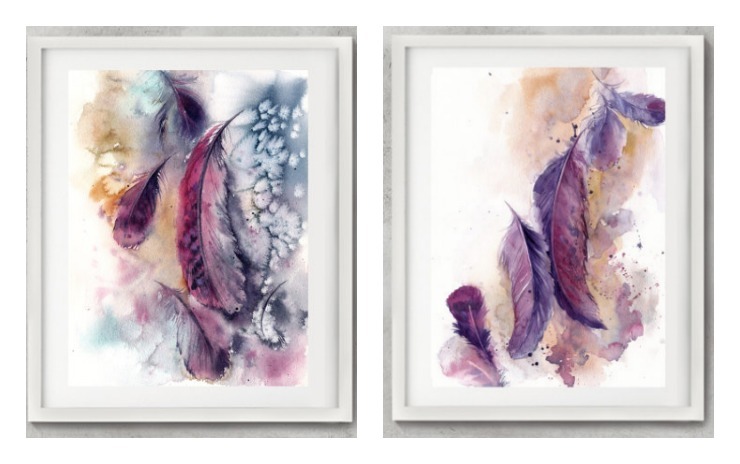 I need one of these beautiful feather watercolor paintings in my life, but deciding on which one or to to get will be so difficult. This artist has even more incredible artwork in her CanotStop shop over on Etsy. Some of the bird paintings also caught my attention. Have I sold you on loving purple? If so, go buy yourself some orchids! Oh my gosh. So in love with all of these!!! My boys want those pops too!